Stock status is current as of 4/18/2019 9:08 AMET. 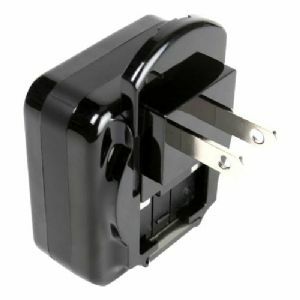 The PowerQ Dual by The Joy Factory is the perfect charging solution that meets all your traveling and everyday needs. It will charge any device that enables USB charging with unparalleled speed. With its thin profile, the PowerQ Dual is easy to carry around in your bag without adding any bulk or weight. It is UL certified to protect your device and its battery from overcharge and other damages. The PowerQ Dual allows ultra-fast charging with 2100mA voltage per USB connector and the capability to charge 2 devices simultaneously. The PowerQ Dual is the perfect charging solution for traveling and home use for all your USB enabled devices.